One improved randomly amplified polymorphic DNA (RAPD) technique has been used in animal phylogenetic relationships and fingerprints analysis by prolonging the ramp time. However, little was known whether the PCR ramp time and G/C content of primers effect on RAPD analysis of medicinal Gastrodia elata Bl. plants. The present study was conducted with the objectives to extract genomic DNA of G. elata, execute RAPD analysis with different PCR ramp time and discuss the relationship between the amplification efficiency and the G/C content of RAPD primers subsequently. The Cetyltrimethylammonium Bromide (CTAB) protocol was used in the genomic DNA extraction. Ten RAPD primers were randomly selected in PCR amplifications. The ramp time parameters from annealing to extension were used 0.3 and 3°C sec-1, respectively. The concentration of G. elata genomic DNA were about 50 ng μL-1 with a 1.93 purity. Obviously, the amplified band numbers and resolution were improved when using a 0.3°C sec-1 ramp time in the RAPD analysis. The band number increase is closely related to the G/(G+C) ratio of RAPD primers. Therefore, the extracted G. elata genomic DNA is suitable for PCR amplifications and the prolonged ramp time is helpful to improve the RAPD resolution and production. These are valuable references for molecular identification and biodiversity analysis of G. elata populations. Gastrodia elata Bl. in genus Gastrodia R. Br. is a saprophytic perennial herb of the Orchidaceae family. The species are widely distributed in China living in forest and shrubbery edges (Chen, 1999; Guan et al., 2007). As a rare traditional Chinese medicine, the rhizomatous herb of G. elata is useful in remedying headache, dizziness and numbness. Also, the herb has curative effects in reducing blood pressure, relieving pain and fortifying brain (Li et al., 2005). Due to the rarity of wild G. elata, the locality identification and biodiversity analysis of G. elata populations are needed and in which the Randomly Amplified Polymorphic DNA (RAPD) technique is used widely with rapid and simple advantages. RAPD technique has been shown to be useful in authentication and genetic diversity analysis on molecular level (Zou et al., 2006; Zhao et al., 2006; Shaptadvipa and Sarma, 2009; Duan et al., 2011; Thangaraj et al., 2011). However, the application of RAPD technique is limited in its stability and reproducibility (Huang et al., 2008). An improved method for increasing the efficiency via altering ramp time has been reported in animal RAPD analysis (Fu et al., 2000) but we still know little about its effects on the RAPD analysis of G. elata. Also, whether the increased amplification efficiency is related to the G/C content of RAPD primers in the improved method are obscure too. To discuss the effects of PCR ramp time and G/C content of primers on RAPD analysis of G. elata, we will extract the G. elata genomic DNA and execute RAPD analysis with different ramp parameters and G/C content of primers in the present study. The study was conducted from February 2011 to December 2011 at Luzhou city, Research Center for Preclinical Medicine of Luzhou Medical College. Plant materials: The fresh G. elata rhizoma used in this study are collected from Yanyuan county of Xichang city in Sichuan province. The rhizomas were germinated and grown in the perennial nursery of Medicinal Botanical Garden, Luzhou Medical College. The mature G. elata were carefully identified by Dr. Haiqing Yu. The voucher specimens (accession number GETY110201) have been deposited at the Medicinal Botanical Association of Zhongshan Mountain (MBAZM), Luzhou Medical College. DNA extraction and purification: About 2 g rhizomas were ground in mortar by adding quartz sands and the slurry was transferred to a 5 mL microcentrifuge tube. Genomic DNA was extracted and purified with the Cetyltrimethylammonium Bromide (CTAB) procedure introduced by Doyle and Doyle (1990). The concentration and purity of genomic DNA were detected using ND-1000 (NanoDrop Technologies, USA). 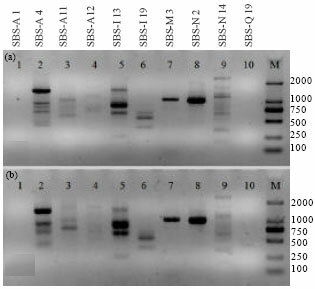 RAPD PCR amplification: The PCR reaction was carried out using SBS primer sets (Beijing SBS Genetech Co., Ltd, China). Ten random selected SBS primers were listed in Table 1. RAPD was performed in a total volume of 20 μL containing 30 ng DNA, 1xreaction buffer, 2 mM MgCl2, 0.25 μM of each primer, 200 μM of each dNTP (TakaRa Biotechnology (Dalian) Co., Ltd), one unit of rTaq DNA polymerase (TakaRa) and sterile water to the final volume. One drop of mineral oil was added in each reaction tube. The thermocycling profile consisted of an initial denaturation at 94°C for 4 min, followed by 40 cycles of 1 min at 94°C 1 min at 36°C 2 min at 72°C and final extension of 10 min at 72°C. PCR reactions were carried out in a Mastercycler 5331 (Eppendorf, Germany). The amplified PCR products were resolved by electrophoresis on 1.5% agarose gel in 1xTAE buffer. Gels were visualized by 0.5 μg mL-1 ethidium bromide staining and the images were documented using the ChemiDoc XRS (Bio-Rad, USA). The ramp time parameters from annealing to extension were used 3 and 0.3°C sec-1, respectively as suggested (Fu et al., 2000). The concentration and purity of extracted G. elata genomic DNA were about 50 ng μL-1 and 1.93, respectively. The PCR reactions were repeated five times and the band patterns were highly reproducible (data not shown). To obtain the great accuracy of UV illumination, exact band numbers were observed directly by using the clear acrylic UV protection screen. Results of RAPD analysis were shown in Fig. 1 (a-b). The amplified band numbers and G/(G+C) ratios are listed in Table 1. As, Fig. 1 displayed, the PCR bands were more clearly and the resolution in RAPD analysis was obviously improved by prolonging the ramp time from annealing to extension. Generally, eight of ten primers generated weak or strong PCR bands while primers SBS-A1 and SBS-Q19 produced no products in two different ramps (Fig. 1a-b). Among ten RAPD primers, different band number increases were found after prolonging (Table 1). No increased bands were detected when using primers SBS-A1, SBS-M3 and SBS-Q19 and their G/(G+C) ratios are 0.3, 1 and 0, respectively. Interestingly, primers SBS-A4, SBS-A12, SBS-I13 and SBS-N14 all increased four bands which are the most augment in ten primers, with the same 0.7 G/(G+C) ratio. Primers SBS-A11, SBS-I19, SBS-N2 gained two, one and two bands with a 0.3, 0.8 and 0.6 G/(G+C) ratio, respectively. In the current study, high quality genomic DNA of G. elata was extracted which indicated that fresh rhizoma was easily obtained by adding quartz sands in mortar via CTAB method. Also, the reproducible PCR bands suggested that the extracted genomic DNA is suitable for RAPD amplifications. After prolonging the ramp time, the RAPD resolution and PCR products were increased obviously. This showed that the improved RAPD method is also useful in G. elata RAPD analysis. Fu et al. ( 2000) considered that the properly prolonged ramp time is perhaps helpful in binding stability between primer and DNA template. Thus, the RAPD resolution and band numbers are increased. Since the G/C content is one of most important factor in primer specificity of PCR amplification, it probably plays effective in the improved RAPD technique. We found that the most increase displayed in RAPD primers with a 0.7 G/(G+C) ratio which suggested that these primers are likely more suitable in the improved RAPD analysis. In recent years, an increasing quality of G. elata is needed owing to their well therapeutic effects. There are a lot of G. elata cultivars in the market with different localities and sale prices and the wild G. elata resources are rare due to excessive exploitation (Zou et al., 2006). Commonly, the genuine regional drug which has the specific growing locality, has better curative effects than those from other localities (Yu et al., 2011a, b). Therefore, it is necessary to develop an effective RAPD strategy in locality identification and biodiversity analysis of G. elata populations. In this study, the prolonged ramp time is helpful to improve the PCR resolution and production in RAPD analysis of G. elata. To obtain the most band number increase, the G/(G+C) ratio of RAPD primers needs to be considered. These are valuable references for RAPD identification and biodiversity analysis of different herbs. The authors contribute equally to the present work. We are thankful to the Youth Foundation, the National Natural Science Pre-Research Foundation and the Scientific Research Starting Foundation for Doctors of Luzhou Medical College (No. 409, 676 and 606). These authors particularly thank persons for providing fresh G. elata rhizoma. Chen, X.Q., 1999. Flora of China. Vol. 18, Science Press, Beijing, China. Duan, C., Z. Mei, S. Gong and H. Yu, 2011. Genetic characterization and authentication of Penthorum Species using RAPD and SCAR markers. Res. J. Bot., 6: 87-94. Fu, J.J., L.Y. Li, X. Xu, Z. Wang, G. Tang, C.M. Yin and G.X. Lu, 2000. An improved method for increasing the efficiency of the technique of random amplified polymorphic DNA (RAPD). Hereditas, 22: 251-252. Guan, P., D.W. Ma, G.X. Wang, J.M. Shi and F. Chen, 2007. ISSR analysis on genetic diversity of Gastrodia elata Bl. in Guizhou Province, Southwestern China. J. Beijing For. Univ., 29: 35-40. Huang, X.Y., S.Y. Jiang, H. Li and F. Li, 2008. Optimization of the RAPD reaction system and procedure of Texas media. Guihaia, 28: 451-454. Li, X.L., X.L. Wang and A.F. Liu, 2005. The isolation of total DNA from rhizoma Gastrodiae. J. Guiyang Med. Coll., 30: 399-400. Shaptadvipa, B. and R.N. Sarma, 2009. Assessment of nature and magnitude of genetic diversity based on DNA polymorphism with RAPD technique in traditional glutinous rice (Oryza sativa L.) of Assam. Asian J. Plant Sci., 8: 218-223. Thangaraj, M., V. Prem, T. Ramesh and A.P. Lipton, 2011. RAPD fingerprinting and demonstration of genetic variation in three pathogens isolated from mangrove environment. Asian J. Biotechnol., 3: 269-274. Yu, H., H.Q. Yu and H. Liu, 2011. Identification of medicinal Viola philippica from V. mandshurica using SCAR markers. Int. J. Bot., 7: 189-194. Yu, H.Q., C. Zhang, Z.Q. Mei, L. Wang and J. Li et al., 2011. Molecular authentication of medicinal Penthorum chinense push from different localities in China by RAPD analysis. Int. J. Bot., 7: 97-102. 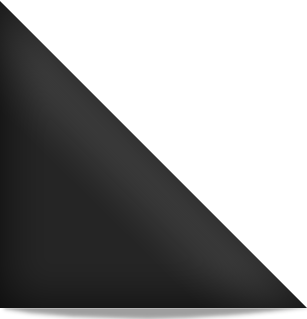 Zhao, X., Y.P. Li, S.Y. Li, L.M. Chen and K. Ni et al., 2006. DNA fingerprints analysis on wild and cultivated Gastrodia elata Blume. Forum Trad. Chin. Med., 21: 43-45. Zou, J.N., J.X. Song, C.R. Chang and X.L. Wang, 2006. RAPD analysis on wild and cultivated Gastrodia elata Blume from the same habitat in Guizhou province. J. Guiyang Med. Coll., 31: 514-516.